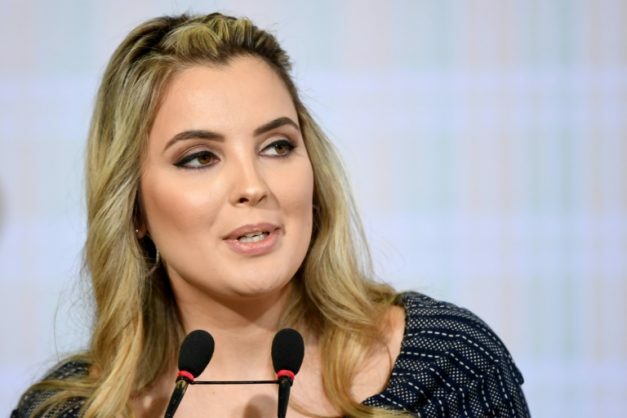 Brazil’s first lady Marcela Temer leapt fully clothed into a lake at the presidential palace to rescue her pet dog — then got roasted on social media. The 34-year-old former beauty queen jumped into the lake after her Jack Russell named Picoly went after some ducks but struggled to get back out. Although the drama occurred on April 22, it only became public this week. Brazilian media and Twitter wits mocked the first lady’s heroics, making the incident a top trending topic late Monday. Given that her husband Michel Temer is the most unpopular president on record in Brazilian history, leftist blogger Leonardo Stoppa joked that Marcela’s aim was not to save the dog but the duck. “She despaired, because she saw one of Temer’s few voters,” he said in a YouTube broadcast. Referencing comparisons between Temer and vampires — a jibe that took center stage at this year’s Rio carnival — one tweeter said he wasn’t surprised Marcela cared so much about animals.